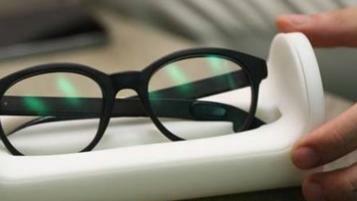 Vue, which could become the world’s first pair of smart glasses designed for everyday use. Designed through 3D printing, they look like a regular pair of designer glasses, are compatible with prescription lenses and are discrete enough to wear constantly. Unlike the Google Glass, all the smart features are embedded into the frame and lenses, while still enabling users to answer calls, listen to music, receive notifications and a lot more – thanks to a convenient touch interface embedded into the frame arms.